obtaining a license for the purchase and use of precursors. Freely own a personal computer as a user. I have experience in implementing and working with the quality management system according to ISO 9000-2000 standards. I have six years of experience in the implementation of concrete goods, organization of deliveries of concrete goods by rail transport. Personally developed costing calculation of all produced reinforced concrete products. Developed and mastered the production of many special types of reinforced concrete, including manufacture of new metal forms on their own. 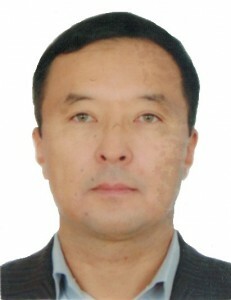 In 2015 he completed training and engineering personnel Kazakhstan at the leading enterprises of the scholarship program Bolashak.